When one looks across the political spectrum of Israel, there is a tendency of the religious right to resist ceding any part of it to a Palestinian state. This stance is questionable for many reasons. Aside whether or not it is possible to trust the Palestinians, it is necessary to look at the true cost of keeping the territories. There does not seem to be a possible way to hold onto the Gaza and the West Bank. The majority in that area is Palestinian and incorporation would threaten a Jewish majority. However, leaving these areas in a permanent state of limbo is both unsustainable and morally reprehensible. A nation without a home of their own will be unable to provide for itself, leaving its population in squalor and vulnerable to extremism and violence. Maintaining this status quo has been bloody and costly. Yet it seems as if many on the religious right who advocate for this state of affairs are not those who are fighting in the army. To be certain, there are some religious Zionists that fight bravely for the borders they believe in, but there are many that do not. 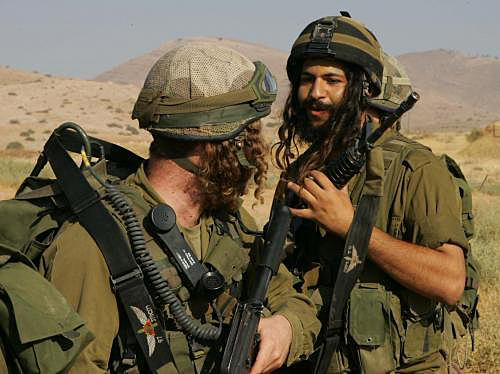 While I do not agree with the secular right wing’s belief in continued occupation, I acknowledge their willingness to serve in the IDF and fight for their creeds. Therefore, the issue at hand concerns taking responsibility for one’s convictions. If the question of responsibility is what is important, then why is it necessary to discuss the specific focus of the debate? The answer is that taking responsibility is likely to change many people’s stances. Ariel Sharon, the right wing politician, took the initiative to disengage, because despite his political orientation, he understood the true cost of occupying the territories. Ariel Sharon was a warrior and had seen it first hand. Menachem Begin recognized this as well in his dealings with Egypt. To be sure, the Palestinians still have a long way to go in organizing themselves to prove that they are able to maintain a state that is not a threat to Israel. Even if Israel were to unanimously decide on a two state solution, the challenge of drawing the borders still lies ahead as well. However, unity based on a coherent vision will help alleviate at least some of difficulty in the long road to peace that lies ahead.